In this edition of the Antiques Auction Forum, Martin Willis speaks with historian and author Mary Miley Theobald on a “what to do” book on when you are faced with in inherited household. They cover topics such as how to identify, value and dispose of inherited stuff. 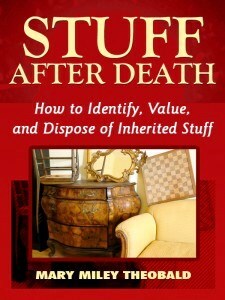 Check out her “Stuff After Death” or visit her website.